Retired British Ski Cross racer and ex-British Team Alpine athlete, Winter Olympian Ed Drake commentated on the recent PyeongChang 2018 Winter Olympics Ski Cross. Giving true dimension and explanation to the hard work and skill that goes into competing in a sport as fast and adrenalin fuelled as Ski Cross, it was excellent to hear his take on the events. Ed, who represented Great Britain at the Vancouver 2010 Winter Olympics, was at the forefront of British skiing for many years. He was British National Alpine Champion four times before making the switch to Ski Cross in 2012. During his competitive ski career, he was an ambassador for The Snow Centre, Hemel Hempstead, and made many coaching appearances. Now retired from competitive skiing, he provides great insight for all those inspired to try ski cross following the 2018 Winter Games. Ed, we watched you talking about ski cross throughout the BBC's coverage of PyeongChang's 2018 Olympics. You described the skill and risks involved, what do you think are some of the things that make ski cross such a brilliant sport to participate in? “The fact that it’s not complicated makes it a really good sport to watch, and you don’t need to be an expert to enjoy it. The format is simple to understand, the first to the bottom wins, it’s a raw sport. 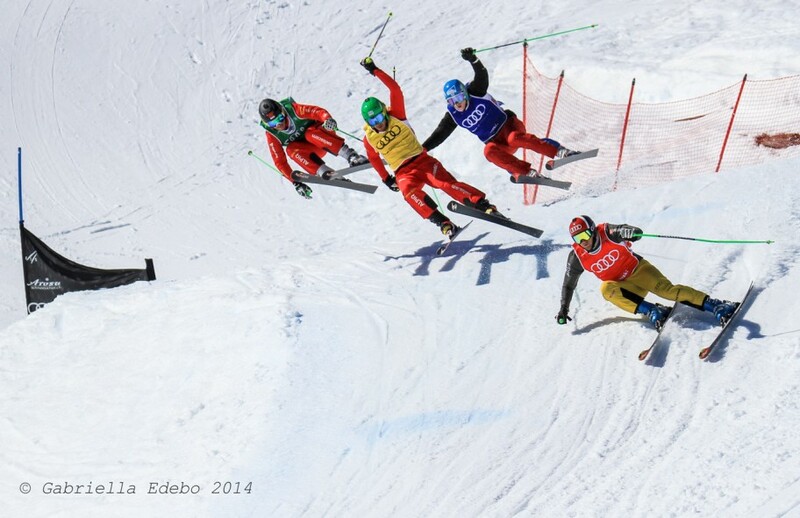 What skiing skills do you need to have before you can consider participating in ski cross? “Besides basic ski racing ability, you have to be light on your feet, well balanced and able to deal with changing terrain. You've got plenty of competition experience in racing and ski cross how did you get into competing in ski cross? “Sort of by accident, I had been rehabbing my ankle after surgery from a racing accident. The alpine race I was meant to be competing in got cancelled, and a ‘ski cross friend’ told me there was a ski cross event taking place not too far away in France. The following day, I drove from Austria to France to compete in my first ever ski cross competition. I crashed, but I loved it. I’ve been hooked ever since." How can youngsters and adults who are thinking of taking up ski cross learn the skills needed? “There are a few ski cross clubs, The Cross Collective and the PDS Academy are a couple, but although ski cross is not alpine racing, the skills are transferable, so training in alpine first is a great idea and will help build the technique required to participate in ski cross. There are lots of UK alpine race clubs. Once you have some alpine skills, there are resorts that have open ski cross courses, so you can just go along and give it a go. Val Thorens or Les Gets in France, are both good courses for this, but a lot of resorts are offering this now. 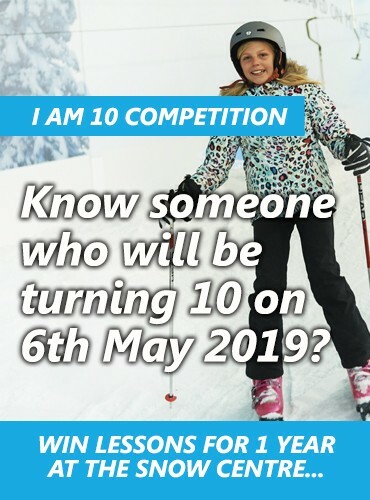 Lessons at The Snow Centre Hemel Hempstead can prepare you with the skills you need to participate in ski cross, and the Hemel Race Club provide great progression into alpine racing.